Owner of the Floating Restaurant Baratie . 08:53 PM - gerakilykos mentioned Owner Zeff in post One Piece Episode 782 - The Devil's Fist! A Show Down! Luffy vs. Grount! 03:12 AM - Owner Zeff mentioned Laboon in post Profile Contest #25 ~ Festivities! 03:11 AM - Owner Zeff mentioned Aertes in post Profile Contest #25 ~ Festivities! 03:09 AM - Owner Zeff mentioned Stein in post Profile Contest #25 ~ Festivities! Wrath when do u want to play ? 07:30 PM - Matternativ mentioned Owner Zeff in post Profile Contest #24 ~ Spooky! 06:21 PM - Overhaul quoted Owner Zeff in post One Piece Episode 786 - Totto Land! Emperor Big Mom Appears! 02:40 PM - Overhaul quoted Owner Zeff in post One Piece Episode 782 - The Devil's Fist! A Show Down! Luffy vs. Grount! 06:24 AM - Owner Zeff quoted Loni in post One Piece Episode 780 - A Hungry Front! Luffy and The Navy Rookies! 03:58 AM - Owner Zeff quoted Nekomamushi in post One Piece Episode 779 - Kaido Returns! An Imminent Threat to the Worst Generation! 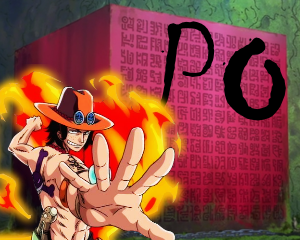 10:20 AM - FireAngeL quoted Owner Zeff in post One Piece Episode 771 - A Vow Between Two Men! Luffy and Kozuki Momonosuke! 10:08 AM - Overhaul quoted Owner Zeff in post One Piece Episode 771 - A Vow Between Two Men! Luffy and Kozuki Momonosuke! 12:54 PM - Aertes quoted Owner Zeff in post Profile Contest #25 ~ Festivities! 09:33 AM - SniperKing quoted Owner Zeff in post Profile Contest #24 ~ Spooky! 08:51 AM - Owner Zeff quoted SniperKing in post Profile Contest #24 ~ Spooky! 08:56 AM - Overhaul quoted Owner Zeff in post Profile Contest #24 ~ Spooky! 08:33 PM - Overhaul quoted Owner Zeff in post Profile Contest #24 ~ Spooky! 09:55 AM - Overhaul quoted Owner Zeff in post Profile Contest #24 ~ Spooky! 02:41 PM - Overhaul quoted Owner Zeff in post Profile Contest #24 ~ Spooky! Profile of the Month #24 Winner!